Teenage angst sensation Charli XCX is back with a new single, You’re the One. The track is decent enough, but doesn’t have the same immediacy as I Love It, the track she recently penned for Icona Pop. Just don’t get us started on the T’Pau sounding rap bit at the end. The single package also contains bop2pop song favorite, Nuclear Seasons. Charli XCX describes herself and her music as Goth-pop, kinda a cross between Siouxsie Sioux and Marina & the Diamonds. At only 19, she caused quite a blog stir with first single, Stay Away, and now she is back with a new video for Nuclear Seasons. 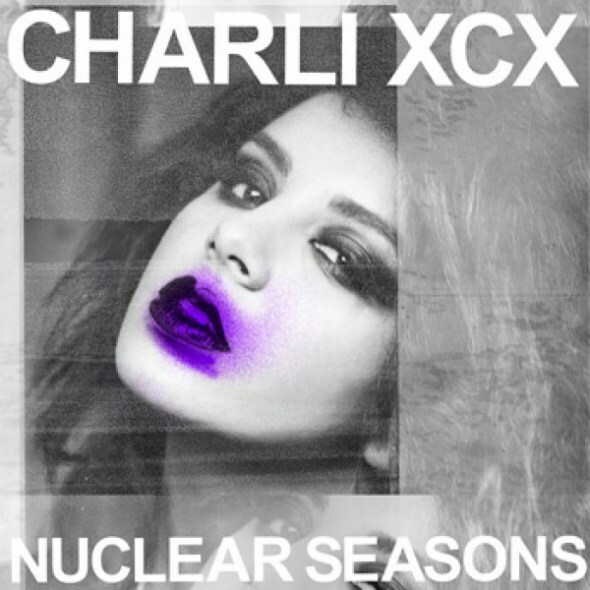 Charli XCX describes Nuclear Seasons being about “a sense of decay. Whether it be the decaying of love, the decaying of life or the decaying of a period of time…and feeling magic alive when you come through the other side.” The video doesn’t seem to have a narrative, but has wolves, crashing waves and a distinctly 80s low budget, almost warped vhs tape quality to it. We have also included the Night Plane Remix for your enjoyment. Be sure to check out her Facebook page and sign up to get a free download of Nuclear Seasons. You are currently browsing the archives for the Charli XCX category.